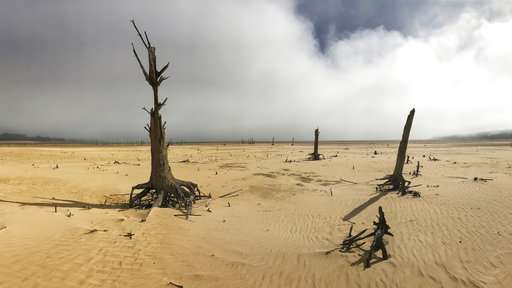 The South African city of Cape Town announced new water restrictions Thursday to combat drought, saying it was looking more likely that it will have to turn off most taps on "Day Zero," or April 21. Mayor Patricia de Lille said 60 percent of residents are "callously" using more than the current limit and that the city will fine households that use too much water. "We have reached a point of no return," she said. Residents must use no more than 50 liters of water daily beginning Feb. 1, down from 87 liters currently. Cape Town, a major tourist destination and a city of 3.7 million people, has assessed 200 water collection points for residents as it prepares for the possible April 21 cutoff. Experts link the city's water shortages to factors including climate change and high population growth. "We can no longer ask people to stop wasting water. We must force them," de Lille said.